Beurer have been offering well engineered quality products in the health and well-being sector for nearly a 100 years. Driven by innovative design combined with reliability and quality, the unusual IH60 is the perfect example as well as a Red Dot Award winner for 2018. 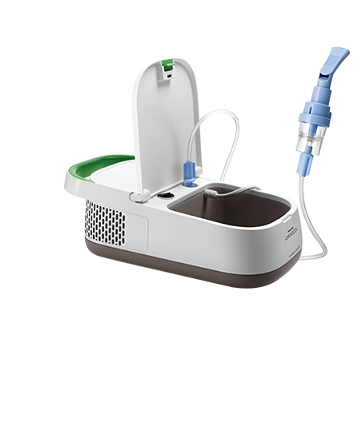 The new Beurer IH60 is a micro compressor nebuliser that’s not much bigger than a your computer mouse or even a hamster. Small and lightweight you can pop it on the desk or hold it comfortably in your hand whilst you take your respiratory therapy. Good things can come in small packages and even though it’s tiny it still produces an efficient and effective nebulisation rate. Fitted with a rechargeable lithium battery which is charged from the multi volt mains cable included, it has the added advantage of coming with a USB cable, meaning you could also charge the battery from your computer or car if you have a suitable port. Freedom indeed. 4 LEDs alert you as you use up your battery life so you can have that little extra confidence when you are out and about. Compared to other compressors the maximum noise level of the IH60 is only 45dbA which is about the level of that in a theatre so you can imagine how comfortable you would feel nebulising in public. 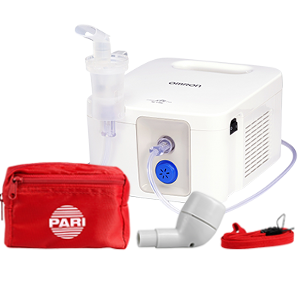 Perfect for the early hours if you do need your respiratory therapy at night, and become too relaxed and happen to drop off, the automatic cut out feature ensures the motor doesn’t over heat. Why not take advantage of the versatility and portability of the Beurer IH60 and start planning your adventures today. Returning to work, a family holiday, a weekend away are all possibilities. Whatever your ambitions, even travelling the world can become a reality, you just have take that first step today. Give us a call on 01942 701210 or get in touch via email to find out more.